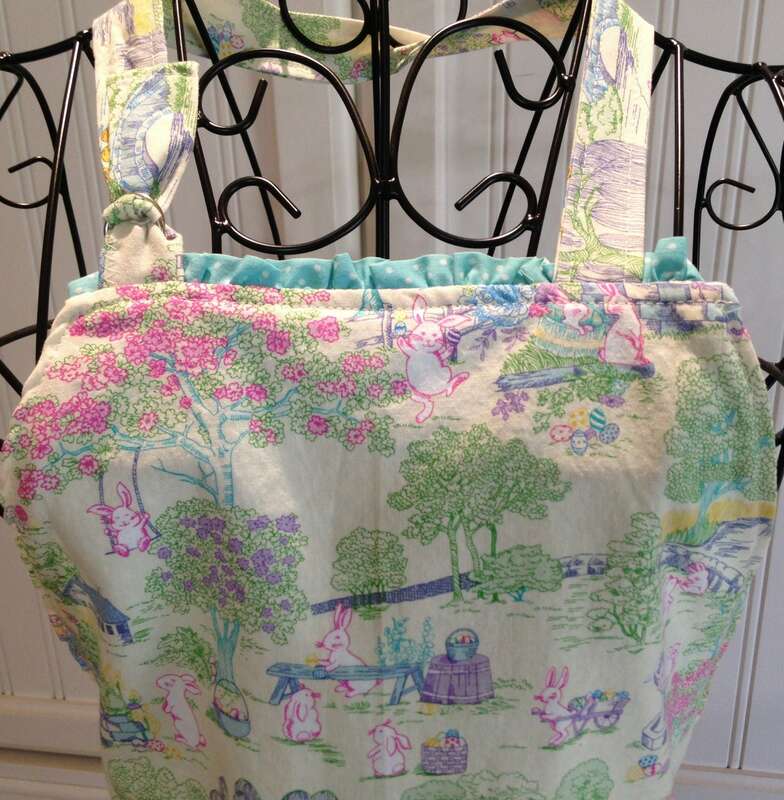 This beautiful bunny toile is made into a special reversible chef style apron. The toile side has two small square aqua ruffled pockets. 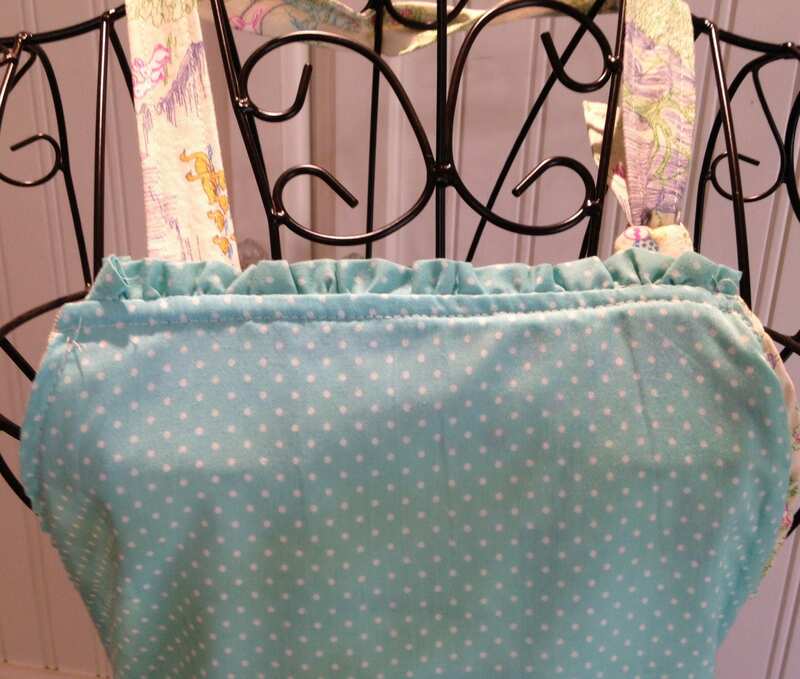 The aqua dot fabric on the reverse side has one two compartment pocket with white heart stitching trim. The neck tie has a D ring attachment making it easily adjustable. The waist ties are long enough for your little girl to grow in her apron while she grows her cooking skills. 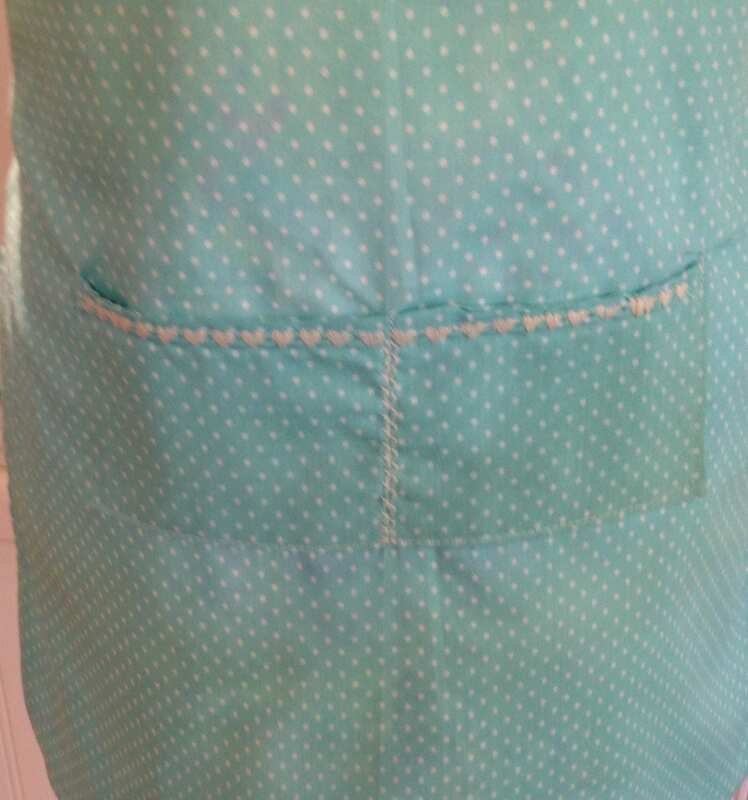 The apron is 18" wide at the waist and 23" long. The neck and waist ties are 24-30" long to let the apron grow up with the girl. Dont let this pretty apron fool you, it's made for cookie baking. Made of pre-washed quilt quality cotton, this apron is made to last. 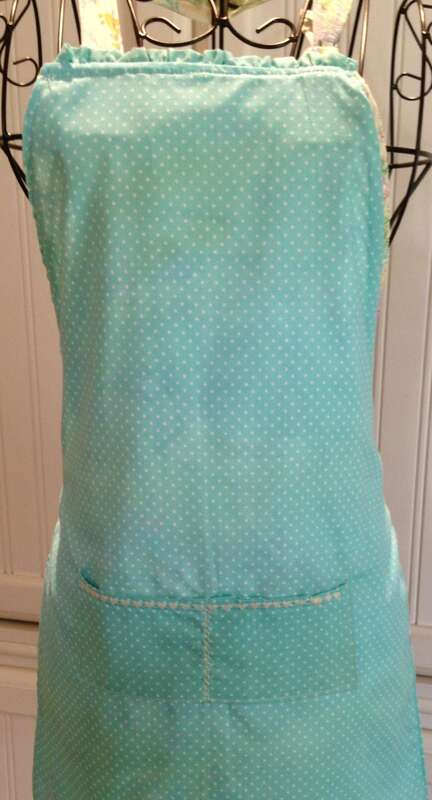 Add another apron or request a custom order for a Mother daughter apron set.